new moon record cover, larry talks about new moon, & autumn de wilde book! "the beatles love this cd brings up an interesting thought: how much messing around with an artist's back catalouge and master tapes is ethical? i recently started working with the estate of elliott smith, researching and archiving my late friend's music for his family and for the future. one of the first jobs entailed working with kill rock stars and the estate on a collection of mostly unreleased material. i researched what tracks might be out there, dug through the reels to find unreleased masters, and then transfered tracks into protools and did the mixes. one song which consisted of double tracked vocals and an acoustic guitar, i found that the guitar track had a prominent scraping flange sound all through it--see "last hour" on elliott's basement on the hill album which is on the same reel-- i tried mixing it and was unhappy with the flange noise, and then i remembered that i'd found a take of the same song on another reel, yet with no vocals. so i flew the tracks together, matching the instrumental take with the acoustic guitar track where the vocals were instead of just flying the vocals on top of the other take in order to keep the vocal phrasing dead on. over eight hours later i had something that worked pretty good. thankfully he had used the same arrangement and key. the tempo is just a little off, so i used a time compression program to get it closer. so i made it work but was it okay to do this? we made sure that the liner notes were clear on what had been done to this track and noted that the rest of the album wasn't created this way. i felt that in this rare case of having a flawed guitar track and perfectly fleshed out instrumental take that showcased elliott's arangement skills, the option was laid out in front of me what should be done." On May 8, 2007, Kill Rock Stars will release a double CD of music by Elliott Smith entitled New Moon. The album contains 24 songs recorded 1994-1997, a prolific time in Smith's career, when he recorded his self-titled album and Either/Or (both also released by Kill Rock Stars). 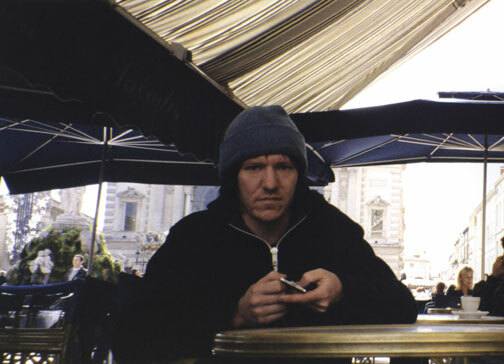 Arguably the most gifted song-writer of his generation, Elliott Smith produced a large body of work that includes five solo albums, as well as From a Basement on the Hill (2004), a collection of songs completed before his death in 2003. 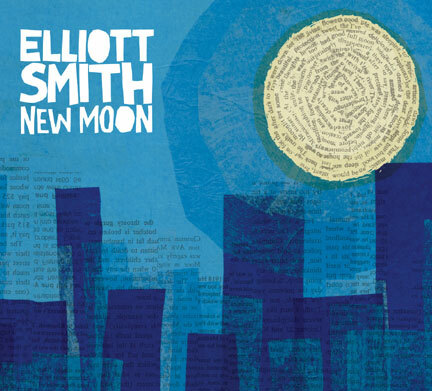 Like his other work, New Moon reflects the power of Smith's ability to integrate rich, melodic music with poetic, multi-layered lyrics. The final mixing for the double cd was done by Larry Crane, who is the archivist for the estate of Elliott Smith A significant portion of proceeds from the album sales will go directly to Outside In, a Portland-based social service organization dedicated to providing diverse services for homeless youth and low-income adults. Elliott Smith died October 21, 2003, in his home in Los Angeles. To date the coroner has been unable to determine the cause of death, and the investigation by the Los Angeles Police Department remains open.